Windows Media Player makes you enjoy nearly all kinds of videos on your Windows computer. But it must meet its Waterloo in Blu-ray. That’s because Blu-ray has DRM copy protection, like AACS and BD+. If Microsoft corporation wants to play Blu-ray on Windows Media Player, he would have to pay Sony a royalty for Blu-ray technology. This cost is likely to be passed on to consumers. Therefore, Microsoft chooses to let the consumer decide on whether to pay to use Blu-ray technology. Blu-ray drive and download and install a codec pack. Media Player Codec Pack supercharges your Windows Media Player by adding support for dozens of new video and audio formats. Consumers can download codec pack from mediaplayercodecpack.com website, which offers consumers for a popular codec pack for Windows Media Player, that includes a number of popular codecs, including support for Blu-ray, which will allow you to play Blu-ray movies on Windows media player. Another option to play Blu-ray on Windows Media Player is to use a third party Blu-ray ripping tool to remove Blu-ray copy protection and transcode Blu-ray to Windows Media Player supported formats. So that you can succeed in playing Blu-ray movies using Windows Media Player. You can free download and install ByteCopy on Windows. How to rip and copy Blu-ray to Windows Media Player? Run the Blu-ray ripper on PC after inserting the Blu-ray disc to the computer. 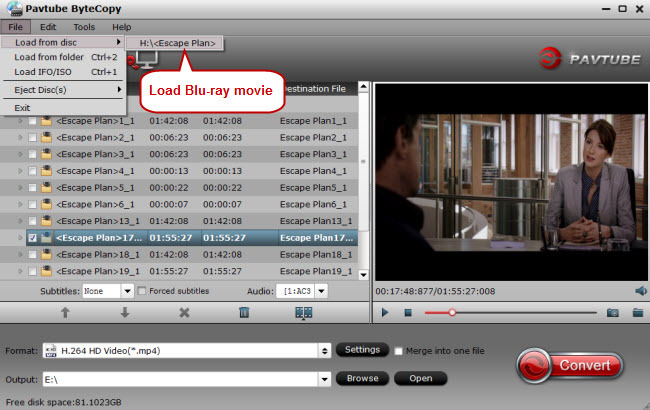 Click “File” ＞ “Load from disc” to import Blu-ray movies, which only takes you several seconds. For ripping Blu-rays to Windows Media Player, click “Format” bar to choose HD Video, then select H.264 HD Video(*.mp4) as the target format. 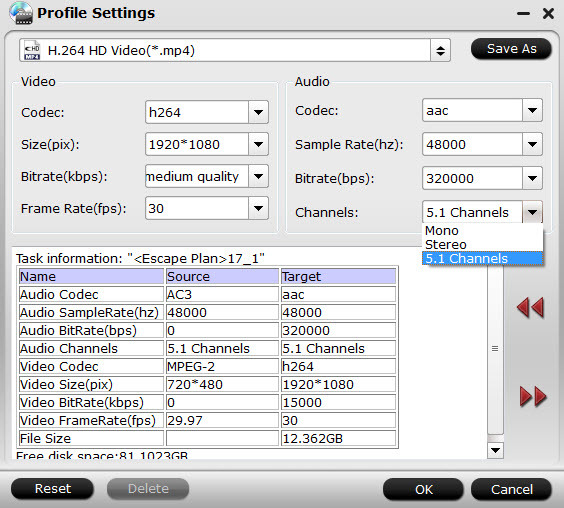 Tip: In profile settings, you are allowed to adjust video and audio codec, size, etc for better video quality. You also can set to preserve 5.1 channels when copying Blu-ray to Windows Media Player. And to get perfect A/V synchronization, you need pay attention to frame rate when ripping Blu-ray movies to Windows Media Player. You can try with different frame rate in settings, like 30fps, 29.97 fps, 25fps, 24fps, etc. “Original” is not recommended. Back to ByteCopy main UI, hit on the “Convert” icon and start ripping Blu-ray to Windows Media Player.When the conversion completes, open output folder and find the ripped movie there. After you succeed in solving the issue of Blu-ray failure playback on Windows Media Player. Now, you can play Blu-ray movies on Windows Media Player smoothly. How Can I Play Any Video File Format on Windows Media Player 12?